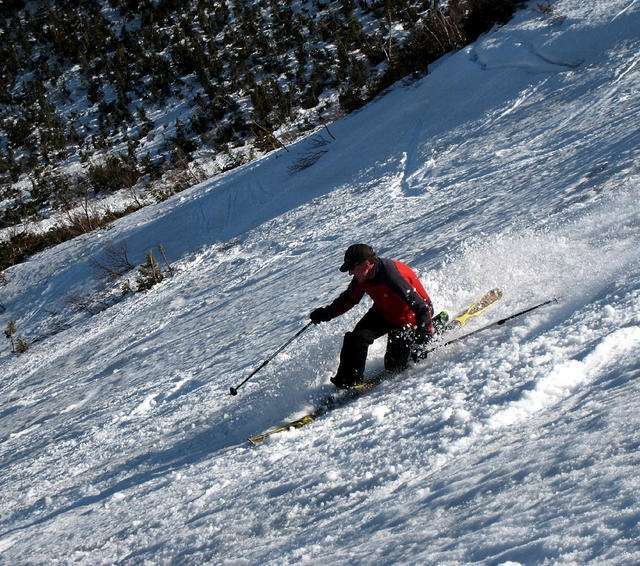 Spring Skiing on Mt Washington can vary from challenging to ecstatic. This will be two days of advanced backcountry skiing. We hope to ski in the bowl ( Tucks and/or GOS) at least one day, but conditions will dictate where we go. You need to be an advanced skier on groomed resort trails (black diamond). Backcountry snow may be powder, ice, or anything between, so you need to be capable of getting down without injury. Skins are required - beacons and shovel are required for those going into the bowl. Group size is limited and registration required. Jeff has led AMC ski trips for over 15 years. He leads resort and backcountry trips including Mt Washington.